Global warming has altered Arctic phytoplankton communities, with unknown effects on deep-sea communities that depend strongly on food produced at the surface. We compared the responses of Arctic deep-sea benthos to input of phytodetritus from diatoms and coccolithophorids. Coccolithophorid carbon was 5× less recycled than diatom carbon. The utilization of the coccolithophorid carbon may be less efficient, so a shift from diatom to coccolithophorid blooms could entail a delay in carbon cycling. Multicellular cable bacteria form long filaments that can reach lengths of several cm. They affect the chemistry and mineralogy of their surroundings and vice versa. How the surroundings affect the cable bacteria is investigated in this paper. They show three different types of biomineral formation: (1) a polymer containing phosphorus in their cells, (2) a sheath of clay surrounding the surface of the filament, (3) the encrustation of a filament by a solid phase containing iron and phosphorus. The sinking speeds of coccoliths are relevant for laboratory methods to separate coccoliths for geochemical analysis. However, in the absence of estimates of coccolith settling velocity, previous implementations have depended mainly on time-consuming method development by trial and error. In this study, the sinking velocities of cocooliths were carefully measured for the first time. We also provide an estimation of coccolith sinking velocity by shape, which will make coccolith separation easier. The distribution of mussel in estuaries is limited but the mechanisms are not well understood. We document for the first time that reduced Ca2+ concentration in the low saline, brackish Baltic Sea affects the ability of mussel larvae to calcify the first larval shell. As complete formation of the shell is a prerequisite for successful development, impaired calcification during this sensitive life stage can have detrimental effects on the species' ability to colonize habitats. Spirorbis tube worms are common epibionts on brown algae in the Baltic Sea. We made experiments with Spirorbis in the Kiel Outdoor Benthocosms at CO2 and temperature conditions predicted for the year 2100. The worms were able to grow tubes even at CO2 levels favouring shell dissolution but did not survive at mean temperatures over 24° C. This indicates that Spirorbis worms will suffer from future excessive ocean warming and from ocean acidification fostering corrosion of their protective tubes. Calcifying phytoplankton play an import role in long-term CO2 removal from the atmosphere. We therefore studied the ability of a representative species to continue sequestrating CO2 under future climate conditions. We show that CO2 sequestration is negatively affected by both an increase in temperature and the resulting decrease in nutrient availability. This will impact the biogeochemical cycle of carbon and may have a positive feedback on rising CO2 levels. Past seawater temperatures can be reconstructed using magnesium / calcium ratios of biogenic carbonates. As temperature increases, so does magnesium. Here we show that for these Arctic/subarctic coralline algae, anatomy is the first control on Mg / Ca, not temperature. When using coralline algae for temperature reconstruction, it is first necessary to check for anatomical influences on Mg / Ca. The main goal of this study was to understand if, similarly to the fossil record, high quantities of toxic metals induce coccolith dwarfism in coccolithophore species. We investigated, for the first time, the effects of trace metals on coccolithophore species other than E. huxleyi and on coccolith morphology and size. Our data show a species-specific sensitivity to trace metal concentration, allowing the recognition of the most-, intermediate- and least-tolerant taxa to trace metal enrichments. Our culture experiments on modern Coccolithophores find that physiology regulates shifts in the geometry of their carbonate shells (coccospheres) between growth phases. This provides a tool to access growth information in modern and past populations. Directly comparing modern species with fossil coccospheres derives a new proxy for investigating the physiology that underpins phytoplankton responses to environmental change through geological time. We carried out a 1-year experiment on coralline algae to test how higher CO2 and temperature might change the mineral composition of the algal skeleton. We expected there to be a decline in magnesium with CO2 and an increase with temperature. We found that CO2 did not change the mineral composition, but higher temperature increased the amount of magnesium. The global warming debate has sparked an unprecedented interest in temperature effects on coccolithophores. We show that sub-optimal growth temperatures lead to an increase in malformed coccoliths in a strain-specific fashion and the inorganic / organic carbon has a minimum at optimum growth temperature. Global warming might cause a decline in coccoliths' inorganic carbon contribution to the "rain ratio", as well as improved fitness in some genotypes by reducing coccolith malformation. In recent years much research has focussed on whether corals will be able to build their skeletons under predicted ocean acidification. One strategy corals may employ is changing the mineralogy of their skeletons from aragonite to the less soluble polymorph of calcium carbonate; calcite. Here we show that newly settled coral recruits are unable to produce calcite in their skeletons under near-future elevations in pCO2, which may leave them more vulnerable to ocean acidification. We studied filamentous macroscopic algae growing in metal-rich stream water that leaked from a former uranium-mining district. These algae were encrusted with Fe-deposits that were associated with microbes, mainly Gallionella-related Fe-oxidizing bacteria, and extracellular polymeric substances. Algae with a lower number of chloroplasts often exhibited discontinuous series of precipitates, likely due to the intercalary growth of algae which allowed them to avoid detrimental encrustation. 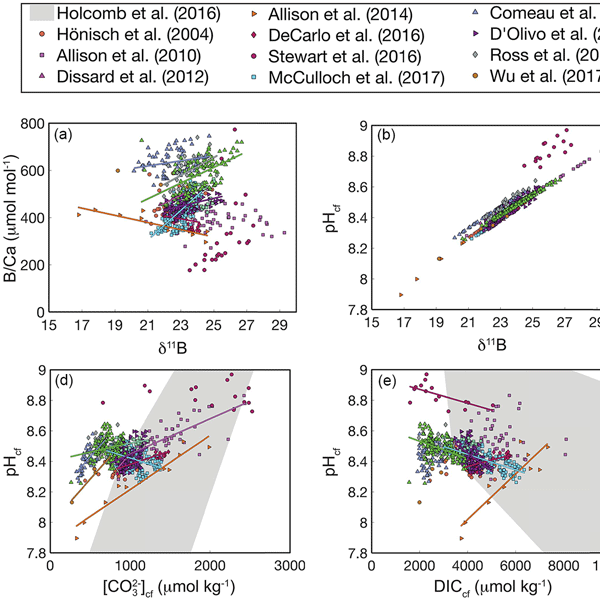 Calcification by marine organisms reacts to changing seawater carbonate chemistry, but it is unclear which components of the carbonate system drive the observed response. This study uncovers proportionalities between different carbonate chemistry parameters. These enable us to understand why calcification often correlates well with carbonate ion concentration, and they imply that net CaCO3 formation in high latitudes is not more vulnerable to ocean acidification than formation in low latitudes. A culture study with the benthic foraminifer Amphistegina lessonii was conducted at varying seawater [Ca2+] and constant [Mg2+]. Results showed optimum growth rates and test thickness at ambient seawater Mg/Ca and a calcite Mg/Ca which is controlled by the relative seawater ratio. Results support the conceptual biomineralization model by Nehrke et al. (2013); however, our refined flux-based model suggests transmembrane transport fractionation that is slightly weaker than expected. Addadi, L., Raz, S., and Weiner, S.: Taking advantage of disorder: amorphous calcium carbonate and its roles in biomineralization, Adv. Mater., 15, 959–970, 2003. Al-Horani, F. A., Al-Moghrabi, S. M., and De Beer, D.: The mechanism of calcification and its relation to photosynthesis and respiration in the scleractinian coral Galaxea fascicularis, Mar. Biol., 142, 419–426, https://doi.org/10.1007/s00227-002-0981-8, 2003. AlKhatib, M. and Eisenhauer, A.: Calcium and Strontium Isotope Fractionation during Precipitation from Aqueous Solutions as a Function of Temperature and Reaction Rate; II. Aragonite, Geochim. Cosmochim. Ac., 209, 320–342, https://doi.org/10.1016/j.gca.2017.04.012, 2017. Allison, N., Cohen, I., Finch, A. A., Erez, J., and Tudhope, A. W.: Corals concentrate dissolved inorganic carbon to facilitate calcification, Nature Commun., 5, 5741, https://doi.org/10.1038/ncomms6741, 2014. Barkley, H. C., Cohen, A. L., Golbuu, Y., Starczak, V. R., DeCarlo, T. M., and Shamberger, K. E.: Changes in coral reef communities across a natural gradient in seawater pH, Sci. Adv., 1, e1500328, https://doi.org/10.1126/sciadv.1500328, 2015. Barkley, H. C., Cohen, A. L., McCorkle, D. C., and Golbuu, Y.: Mechanisms and thresholds for pH tolerance in Palau corals, J. Exp. Mar. Biol. Ecol., 489, 7–14, https://doi.org/10.1016/j.jembe.2017.01.003, 2017. Barnes, D. J.: Coral skeletons: an explanation of their growth and structure, Science, 170, 1305–1308, https://doi.org/10.1126/science.170.3964.1305, 1970. 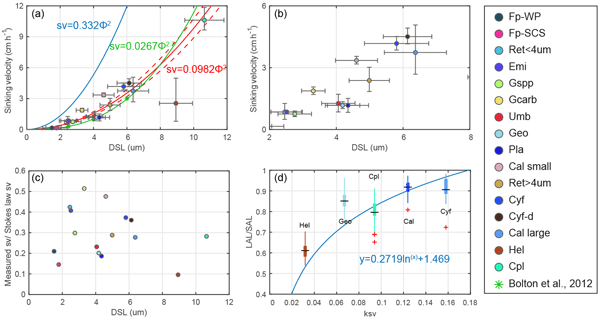 Bischoff, W. D., Sharma, S. K., and MacKenzie, F. T.: Carbonate ion disorder in synthetic and biogenic magnesian calcites; a Raman spectral study, Am. Mineral., 70, 581–589, 1985. Borromeo, L., Zimmermann, U., Andò, S., Coletti, G., Bersani, D., Basso, D., Gentile, P., Schulz, B., and Garzanti, E.: Raman spectroscopy as a tool for magnesium estimation in Mg-calcite, J. Raman Spectrosc., 48, 983–992, https://doi.org/10.1002/jrs.5156, 2017. 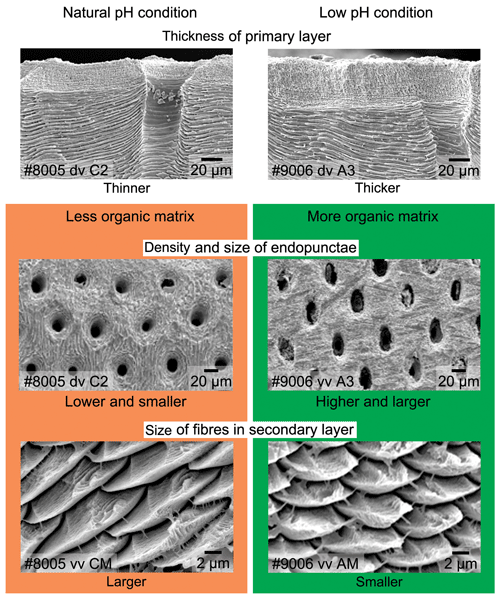 Brahmi, C., Meibom, A., Smith, D. C., Stolarski, J., Auzoux-Bordenave, S., Nouet, J., Doumenc, D., Djediat, C., and Domart-Coulon, I.: Skeletal growth, ultrastructure and composition of the azooxanthellate scleractinian coral Balanophyllia regia, Coral Reefs, 29, 175–189, 2010. Burton, E. A. and Walter, L. M.: Relative precipitation rates of aragonite and Mg calcite from seawater: Temperature or carbonate ion control?, Geology, 15, 111–114, 1987. Cai, W.-J., Ma, Y., Hopkinson, B. M., Grottoli, A. G., Warner, M. E., Ding, Q., Hu, X., Yuan, X., Schoepf, V., Xu, H., Han, C., Melman, T. F., Hoadley, K. D., Pettay, D. T., Matsui, Y., Baumann, J. H., Levas, S., Ying, Y., and Wang, Y.: Microelectrode characterization of coral daytime interior pH and carbonate chemistry, Nature Commun., 7, 11144, https://doi.org/10.1038/ncomms11144, 2016. Caldeira, K. and Wickett, M. E.: Anthropogenic carbon and ocean pH, Nature, 425, 365, 2003. Chan, N. C. S. and Connolly, S. R.: Sensitivity of coral calcification to ocean acidification: a meta-analysis, Glob. Change Biol., 19, 282–290, https://doi.org/10.1111/gcb.12011, 2013. Chen, X., Deng, W., Zhu, H., Zhang, Z., Wei, G., and McCulloch, M. T.: Assessment of coral δ44∕40Ca as a paleoclimate proxy in the Great Barrier Reef of Australia, Chem. Geol., 435, 71–78, https://doi.org/10.1016/j.chemgeo.2016.04.024, 2016. 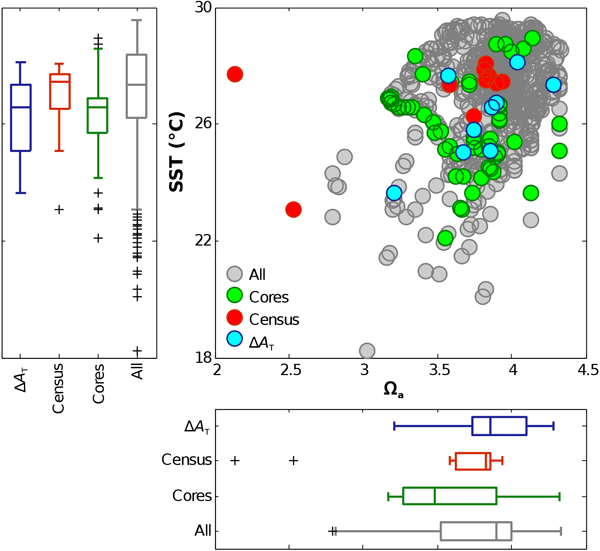 Clarke, H., D'Olivo, J. P., Falter, J., Zinke, J., Lowe, R., and McCulloch, M.: Differential response of corals to regional mass-warming events as evident from skeletal Sr/Ca and Mg/Ca ratios, Geochem. Geophy. Geosy., 18, 1794–1809, https://doi.org/10.1002/2016GC006788, 2017. Clode, P. and Marshall, A.: Low temperature FESEM of the calcifying interface of a scleractinian coral, Tissue and Cell, 34, 187–198, https://doi.org/10.1016/S0040-8166(02)00031-9, 2002. Clode, P. L., Lema, K., Saunders, M., and Weiner, S.: Skeletal mineralogy of newly settling Acropora millepora (Scleractinia) coral recruits, Coral Reefs, 30, 1–8, https://doi.org/10.1007/s00338-010-0673-7, 2011. Cohen, A. L. and Holcomb, M.: Why corals care about ocean acidification: uncovering the mechanism, Oceanography, 22, 118–127, https://doi.org/10.5670/oceanog.2009.102, 2009. Cohen, A. L. and McConnaughey, T. A.: Geochemical Perspectives on Coral Mineralization, Rev. Mineral. Geochem., 54, 151–187, https://doi.org/10.2113/0540151, 2003. Comeau, S., Tambutté, E., Carpenter, R. C., Edmunds, P. J., Evensen, N. R., Allemand, D., Ferrier-Pagès, C., Tambutté, S., and Venn, A. A.: Coral calcifying fluid pH is modulated by seawater carbonate chemistry not solely seawater pH, Proceedings of the Royal Society of London B: Biological Sciences, 284, 2017. Costanza, R., de Groot, R., Sutton, P., van der Ploeg, S., Anderson, S. J., Kubiszewski, I., Farber, S., and Turner, R. K.: Changes in the global value of ecosystem services, Glob. Environ. Chang., 26, 152–158, https://doi.org/10.1016/j.gloenvcha.2014.04.002, 2014. Dandeu, A., Humbert, B., Carteret, C., Muhr, H., Plasari, E., and Bossoutrot, J. M.: Raman Spectroscopy – A Powerful Tool for the Quantitative Determination of the Composition of Polymorph Mixtures: Application to CaCO3 Polymorph Mixtures, Chem. Eng. Technol., 29, 221–225, https://doi.org/10.1002/ceat.200500354, 2006. DeCarlo, T. M.: Data and code for “Coral calcifying fluid aragonite saturation states derived from Raman spectroscopy”, available at: https://doi.org/10.5281/zenodo.1035493 (last access: November 2017), 2017. DeCarlo, T. M.: Code for “Coral calcifying fluid aragonite saturation states derived from Raman spectroscopy”, available at: https://doi.org/10.24433/CO.ff54fd98-a010-43f5-ad6a-c10c675387fc (last access: November 2017), 2017. 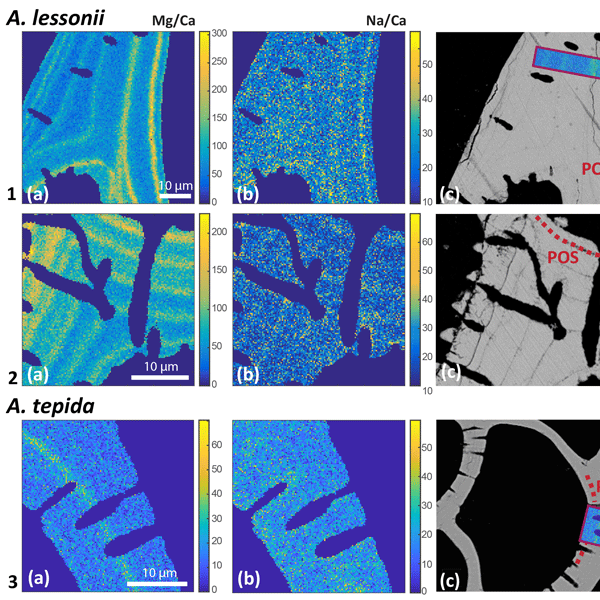 DeCarlo, T. M. and Cohen, A. L.: coralCT: software tool to analyze computerized tomography (CT) scans of coral skeletal cores for calcification and bioerosion rates, available at: https://doi.org/10.5281/zenodo.57855 (last access: November 2017), 2016. DeCarlo, T. M., Gaetani, G. A., Holcomb, M., and Cohen, A. L.: Experimental determination of factors controlling U/Ca of aragonite precipitated from seawater: implications for interpreting coral skeleton, Geochim. Cosmochim. Ac., 162, 151–165, https://doi.org/10.1016/j.gca.2015.04.016, 2015. Dickson, A. G.: Standard potential of the reaction: AgCl (s)+ 1/2H2 (g)= Ag (s)+ HCl (aq), and the standard acidity constant of the ion HSO4− in synthetic sea water from 273.15 to 318.15 K, J. Chem. Thermodynam., 22, 113–127, 1990. D'Olivo, J. P. and McCulloch, M. T.: Response of coral calcification and calcifying fluid composition to thermally induced bleaching stress, Scientific Reports, 7, 2207, 2017. Doney, S. C., Fabry, V. J., Feely, R. A., and Kleypas, J. A.: Ocean acidification: the other CO2 problem, Mar. Sci., 1, 169–192, https://doi.org/10.1146/annurev.marine.010908.163834, 2009. Fabricius, K. E., Langdon, C., Uthicke, S., Humphrey, C., Noonan, S., De'ath, G., Okazaki, R., Muehllehner, N., Glas, M. S., and Lough, J. M.: Losers and winners in coral reefs acclimatized to elevated carbon dioxide concentrations, Nature Clim. Change, 1, 165–169, 2011. Foster, G. L., Pogge von Strandmann, P. A. E., and Rae, J. W. B.: Boron and magnesium isotopic composition of seawater, Geochem. Geophy. Geosy. 11, Q08015, https://doi.org/10.1029/2010GC003201, 2010. Foster, T. and Clode, P. L.: Skeletal mineralogy of coral recruits under high temperature and pCO2, Biogeosciences, 13, 1717–1722, https://doi.org/10.5194/bg-13-1717-2016, 2016. Foster, T., Gilmour, J. P., Chua, C. M., Falter, J. L., and McCulloch, M. T.: Effect of ocean warming and acidification on the early life stages of subtropical Acropora spicifera, Coral Reefs, 34, 1217–1226, https://doi.org/10.1007/s00338-015-1342-7, 2015. Foster, T., Falter, J. L., McCulloch, M. T., and Clode, P. L.: Ocean acidification causes structural deformities in juvenile coral skeletons, Science Advances, 2, e1501130, https://doi.org/10.1126/sciadv.1501130, 2016. Gaetani, G. A. and Cohen, A. L.: Element partitioning during precipitation of aragonite from seawater: A framework for understanding paleoproxies, Geochim. Cosmochim. Ac., 70, 4617–4634, https://doi.org/10.1016/j.gca.2006.07.008, 2006. Gaetani, G. A., Cohen, A. L., Wang, Z., and Crusius, J.: Rayleigh-Based, Multi-Element Coral Thermometry: a Biomineralization Approach to Developing Climate Proxies, Geochim. Cosmochim. Ac., 75, 1920–1932, https://doi.org/10.1016/j.gca.2011.01.010, 2011. Gagnon, A. C., Adkins, J. F., and Erez, J.: Seawater transport during coral biomineralization, Earth Planet. Sc. Lett., 329, 150–161, 2012. Gattuso, J.-P., Frankignoulle, M., Bourge, I., Romaine, S., and Buddemeier, R.: Effect of calcium carbonate saturation of seawater on coral calcification, Global Planet. Change, 18, 37–46, https://doi.org/10.1016/S0921-8181(98)00035-6, 1998. Gattuso, J. P., Allemand, D., and Frankignoulle, M.: Photosynthesis and calcification at cellular, organismal and community levels in coral reefs: a review on interactions and control by carbonate chemistry, Am. Zool., 39, 160–183, https://doi.org/10.1093/icb/39.1.160, 1999. Georgiou, L., Falter, J., Trotter, J., Kline, D. I., Holcomb, M., Dove, S. G., Hoegh-Guldberg, O., and McCulloch, M.: pH homeostasis during coral calcification in a free ocean CO2 enrichment (FOCE) experiment, Heron Island reef flat, Great Barrier Reef, P. Natl. Acad. Sci., 112, 13219–13224, https://doi.org/10.1073/pnas.1505586112, 2015. Gothmann, A. M., Bender, M. L., Blättler, C. L., Swart, P. K., Giri, S. J., Adkins, J. F., Stolarski, J., and Higgins, J. A.: Calcium isotopes in scleractinian fossil corals since the Mesozoic: Implications for vital effects and biomineralization through time, Earth Planet. Sc. Lett., 444, 205–214, https://doi.org/10.1016/j.epsl.2016.03.012, 2016. Gussone, N., Eisenhauer, A., Heuser, A., Dietzel, M., Bock, B., Böhm, F., Spero, H. J., Lea, D. W., Bijma, J., and Nägler, T. F.: Model for kinetic effects on calcium isotope fractionation (δ44Ca) in inorganic aragonite and cultured planktonic foraminifera, Geochim. Cosmochim. Ac., 67, 1375–1382, https://doi.org/10.1016/S0016-7037(02)01296-6, 2003. Gussone, N., Böhm, F., Eisenhauer, A., Dietzel, M., Heuser, A., Teichert, B. M., Reitner, J., Wörheide, G., and Dullo, W.-C.: Calcium isotope fractionation in calcite and aragonite, Geochim. Cosmochim. Ac., 69, 4485–4494, https://doi.org/10.1016/j.gca.2005.06.003, 2005. Hathorne, E. C., Gagnon, A., Felis, T., Adkins, J., Asami, R., Boer, W., Caillon, N., Case, D., Cobb, K. M., Douville, E., DeMenocal, P., Eisenhauer, A., Garbe-Schönberg, D., Geibert, W., Goldstein, S., Hughen, K., Inoue, M., Kawahata, H., Kölling, M., Cornec, F. L., Linsley, B. K., McGregor, H. V., Montagna, P., Nurhati, I. S., Quinn, T. M., Raddatz, J., Rebaubier, H., Robinson, L., Sadekov, A., Sherrell, R., Sinclair, D., Tudhope, A. W., Wei, G., Wong, H., Wu, H. C., and You, C.-F.: Interlaboratory study for coral Sr/Ca and other element/Ca ratio measurements, Geochem. Geophy. Geosy., 14, 3730–3750, https://doi.org/10.1002/ggge.20230, 2013. Hennige, S. J., Morrison, C. L., Form, A. U., Büscher, J., Kamenos, N. A., and Roberts, J. M.: Self-recognition in corals facilitates deep-sea habitat engineering, Scientific Reports, 4, 6782, https://doi.org/10.1038/srep06782, 2014. Hennige, S. J., Wicks, L. C., Kamenos, N. A., Perna, G., Findlay, H. S., and Roberts, J. M.: Hidden impacts of ocean acidification to live and dead coral framework., Proceedings Biological sciences / The Royal Society, 282, 20150 990, https://doi.org/10.1098/rspb.2015.0990, 2015. Hippler, D., Schmitt, A.-D., Gussone, N., Heuser, A., Stille, P., Eisenhauer, A., and Nägler, T. F.: Calcium Isotopic Composition of Various Reference Materials and Seawater, Geostand. Geoanal. Res., 27, 13–19, https://doi.org/10.1111/j.1751-908X.2003.tb00709.x, 2003. Hoegh-Guldberg, O., Mumby, P. J., Hooten, A. J., Steneck, R. S., Greenfield, P., Gomez, E., Harvell, C. D., Sale, P. F., Edwards, A. J., and Caldeira, K.: Coral reefs under rapid climate change and ocean acidification, Science, 318, 1737–1742, https://doi.org/10.1126/science.1152509, 2007. 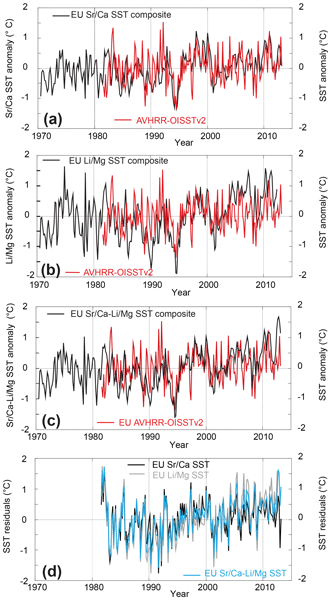 Hoegh-Guldberg, O., Cai, R., Poloczanska, E., Brewer, P., Sundby, S., Helmi, K., Fabry, V., and Jung, S.: The Ocean, in: Climate Change 2014: Impacts, Adaptation, and Vulnerability. Contribution of Working Group 2 to the Fifth Assessment Report of the Intergovernmental Panel on Climate Change, edited by Barros, V., Field, C., Dokken, D., Mastrandrea, M., Mach, K., Bilir, T., Chatterjee, M., Ebi, K., Estrada, Y., Genova, R., Girma, B., Kissel, E., Levy, A., MacCracken, S., Mastrandrea, P., and White, L., Cambridge University Press, Cambridge, United Kingdom and New York, NY, USA, 2014. Holcomb, M., Venn, A. A., Tambutté, E., Tambutté, S., Allemand, D., Trotter, J., and McCulloch, M.: Coral calcifying fluid pH dictates response to ocean acidification, Scientific Reports, 4, 2014. Holcomb, M., DeCarlo, T., Gaetani, G., and McCulloch, M.: Factors affecting B/Ca ratios in synthetic aragonite, Chem. Geol., 437, 67–76, https://doi.org/10.1016/j.chemgeo.2016.05.007, 2016. Hönisch, B., Ridgwell, A., Schmidt, D. N., Thomas, E., Gibbs, S. J., Sluijs, A., Zeebe, R., Kump, L., Martindale, R. C., and Greene, S. E.: The geological record of ocean acidification, Science, 335, 1058–1063, https://doi.org/10.1126/science.1208277, 2012. Inoue, M., Gussone, N., Koga, Y., Iwase, A., Suzuki, A., Sakai, K., and Kawahata, H.: Controlling factors of Ca isotope fractionation in scleractinian corals evaluated by temperature, pH and light controlled culture experiments, Geochim. Cosmochim. Ac., 167, 80–92, https://doi.org/10.1016/j.gca.2015.06.009, 2015. Kamenos, N. A., Burdett, H. L., Aloisio, E., Findlay, H. S., Martin, S., Longbone, C., Dunn, J., Widdicombe, S., and Calosi, P.: Coralline algal structure is more sensitive to rate, rather than the magnitude, of ocean acidification, Glob. Change Biol., 19, 3621–3628, 2013. Kamenos, N. A., Perna, G., Gambi, M. C., Micheli, F., and Kroeker, K. J.: Coralline algae in a naturally acidified ecosystem persist by maintaining control of skeletal mineralogy and size, Proceedings of the Royal Society of London B: Biological Sciences, 283, 2016. Kinsman, D. J. J. and Holland, H. D.: The co-precipitation of cations with CaCO3-IV. The co-precipitation of Sr2+ with aragonite between 16 and 96 C, Geochim. Cosmochim. Ac., 33, 1–17, https://doi.org/10.1016/0016-7037(69)90089-1, 1969. Knowlton, N., Brainard, R. E., Fisher, R., Moews, M., Plaisance, L., and Caley, M.: Coral Reef Biodiversity, in: Life in the World's Oceans: Diversity, Distribution, and Abundance, 2010. Kubota, K., Yokoyama, Y., Ishikawa, T., and Suzuki, A.: A new method for calibrating a boron isotope paleo-pH proxy using massive Porites corals, Geochem. Geophy. Geosy., 16, 3333–3342, https://doi.org/10.1002/2015GC005975, 2015. Levitus, S.: NOAA Atlas NESDIS 68-71, US Government Printing Office, Washington, D.C., 2010. Lin, F., Sum, A. K., and Bodnar, R. J.: Correlation of methane Raman ν1 band position with fluid density and interactions at the molecular level, J. Raman Spectrosc., 38, 1510–1515, https://doi.org/10.1002/jrs.1804, 2007. Lough, J.: Coral calcification from skeletal records revisited, Mar. Ecol. Prog. Ser., 373, 257–264, https://doi.org/10.3354/meps07398, 2008. McConnaughey, T.: 13C and 18O isotopic disequilibrium in biological carbonates: I. Patterns, Geochim. Cosmochim. Ac., 53, 151–162, https://doi.org/10.1016/0016-7037(89)90282-2, 1989. McCulloch, M. T., Falter, J., Trotter, J., and Montagna, P.: Coral resilience to ocean acidification and global warming through pH up-regulation, Nature Climate Change, 2, 623–627, 2012. McCulloch, M. T., Holcomb, M., Rankenburg, K., and Trotter, J. A.: Rapid, high-precision measurements of boron isotopic compositions in marine carbonates, Rap. Commun. Mass Spectrom., 28, 2704–2712, https://doi.org/10.1002/rcm.7065, 2014. McCulloch, M. T., D'Olivo Cordero, J. P., Falter, J., Holcomb, M., and Trotter, J. A.: Coral calcification in a changing World: the interactive dynamics of pH and DIC up-regulation, Nature Commun., 8, 15686, https://doi.org/10.1038/ncomms15686, 2017. McElderry, J.-D. P., Zhu, P., Mroue, K. H., Xu, J., Pavan, B., Fang, M., Zhao, G., McNerny, E., Kohn, D. H., Franceschi, R. T., Holl, M. M., Tecklenburg, M. M., Ramamoorthy, A., and Morris, M. D.: Crystallinity and compositional changes in carbonated apatites: Evidence from 31P solid-state NMR, Raman, and AFM analysis, J. Solid State Chem., 206, 192–198, https://doi.org/10.1016/j.jssc.2013.08.011, 2013. Montagna, P., McCulloch, M., Douville, E., López Correa, M., Trotter, J., Rodolfo-Metalpa, R., Dissard, D., Ferrier-Pagès, C., Frank, N., Freiwald, A., Goldstein, S., Mazzoli, C., Reynaud, S., Rüggeberg, A., Russo, S., and Taviani, M.: Li/Mg systematics in scleractinian corals: Calibration of the thermometer, Geochim. Cosmochim. Ac., 132, 288–310, https://doi.org/10.1016/j.gca.2014.02.005, 2014. Nasdala, L., Wenzel, M., Vavra, G., Irmer, G., Wenzel, T., and Kober, B.: Metamictisation of natural zircon: accumulation versus thermal annealing of radioactivity-induced damage, Contributions to Mineralogy and Petrology, 141, 125–144, https://doi.org/10.1007/s004100000235, 2001. Nehrke, G., Reichart, G., Van Cappellen, P., Meile, C., and Bijma, J.: Dependence of calcite growth rate and Sr partitioning on solution stoichiometry: Non-Kossel crystal growth, Geochim. Cosmochim. Ac., 71, 2240–2249, https://doi.org/10.1016/J.GCA.2007.02.002, 2007. 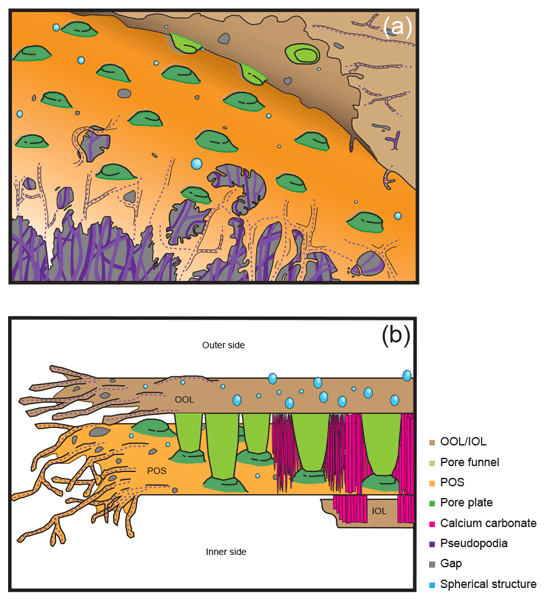 Nehrke, G. and Nouet, J.: Confocal Raman microscope mapping as a tool to describe different mineral and organic phases at high spatial resolution within marine biogenic carbonates: case study on Nerita undata (Gastropoda, Neritopsina), Biogeosciences, 8, 3761–3769, https://doi.org/10.5194/bg-8-3761-2011, 2011. Okai, T., Suzuki, A., Kawahata, H., Terashima, S., and Imai, N.: Preparation of a New Geological Survey of Japan Geochemical Reference Material: Coral JCp-1, Geostandards Newsletter, 26, 95–99, https://doi.org/10.1111/j.1751-908X.2002.tb00627.x, 2002. Pandolfi, J. M., Connolly, S. R., Marshall, D. J., and Cohen, A. L.: Projecting coral reef futures under global warming and ocean acidification, Science, 333, 418–422, 2011. Pauly, M., Kamenos, N. A., Donohue, P., and LeDrew, E.: Coralline algal Mg-O bond strength as a marine pCO2 proxy, Geology, 43, 267–270, https://doi.org/10.1130/G36386.1, 2015. Perrin, J., Vielzeuf, D., Laporte, D., Ricolleau, A., Rossman, G. R., and Floquet, N.: Raman characterization of synthetic magnesian calcites, American Mineralogist, 101, 2525–2538, 2016. Raybaud, V., Tambutté, S., Ferrier-Pagès, C., Reynaud, S., Venn, A. A., Tambutté, É., Nival, P., and Allemand, D.: Computing the carbonate chemistry of the coral calcifying medium and its response to ocean acidification, J. Theor. Biol., 424, 26–36, https://doi.org/10.1016/j.jtbi.2017.04.028, 2017. R Core Team: R: A language and environment for statistical computing, 2016. Ries, J. B.: A physicochemical framework for interpreting the biological calcification response to CO2-induced ocean acidification, Geochim. Cosmochim. Ac., 75, 4053–4064, 2011. Riley, J. P. and Tongudai, M.: The major cation/chlorinity ratios in sea water, Chem. Geol., 2, 263–269, 1967. 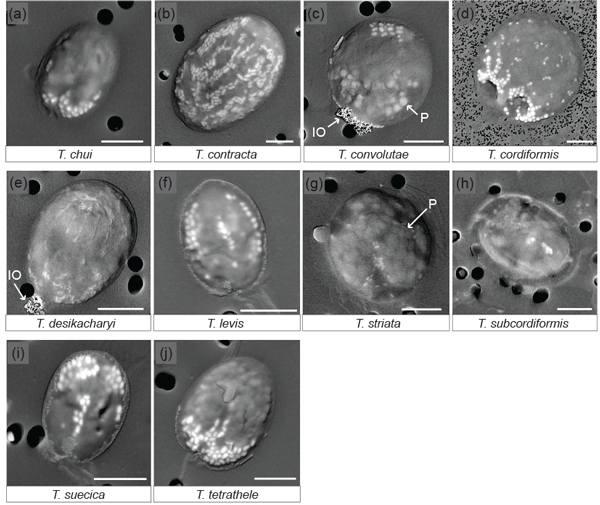 Roger, L. M., George, A. D., Shaw, J., Hart, R. D., Roberts, M., Becker, T., McDonald, B. J., and Evans, N. J.: Geochemical and microstructural characterisation of two species of cool-water bivalves (Fulvia tenuicostata and Soletellina biradiata) from Western Australia, Biogeosciences, 14, 1721–1737, https://doi.org/10.5194/bg-14-1721-2017, 2017. Shamberger, K. E., Cohen, A. L., Golbuu, Y., McCorkle, D. C., Lentz, S. J., and Barkley, H. C.: Diverse coral communities in naturally acidified waters of a Western Pacific reef, Geophys. Res. Lett., 41, 499–504, https://doi.org/10.1002/2013GL058489, 2014. Smith, E. and Dent, G.: Modern Raman spectroscopy: a practical approach, John Wiley & Sons, West Sussex, England, 2005. Stock, S. R., Veis, A., Xiao, X., Almer, J. D., and Dorvee, J. R.: Sea urchin tooth mineralization: Calcite present early in the aboral plumula, J. Struct. Biol., 180, 280–289, https://doi.org/10.1016/j.jsb.2012.08.004, 2012. Stolarski, J., Bosellini, F. R., Wallace, C. C., Gothmann, A. M., Mazur, M., Domart-Coulon, I., Gutner-Hoch, E., Neuser, R. D., Levy, O., Shemesh, A., and Meibom, A.: A unique coral biomineralization pattern has resisted 40 million years of major ocean chemistry change., Scientific Reports, 6, 27579, https://doi.org/10.1038/srep27579, 2016. Tambutté, E., Tambutté, S., Segonds, N., Zoccola, D., Venn, A., Erez, J., and Allemand, D.: Calcein labelling and electrophysiology: insights on coral tissue permeability and calcification, Proceedings of the Royal Society B: Biological Sciences, 279, 19–27, https://doi.org/10.1098/rspb.2011.0733, 2012. Tambutté, E., Venn, A. A., Holcomb, M., Segonds, N., Techer, N., Zoccola, D., Allemand, D., and Tambutté, S.: Morphological plasticity of the coral skeleton under CO2-driven seawater acidification, Nature Communications, 6, 7368, https://doi.org/10.1038/ncomms8368, 2015. 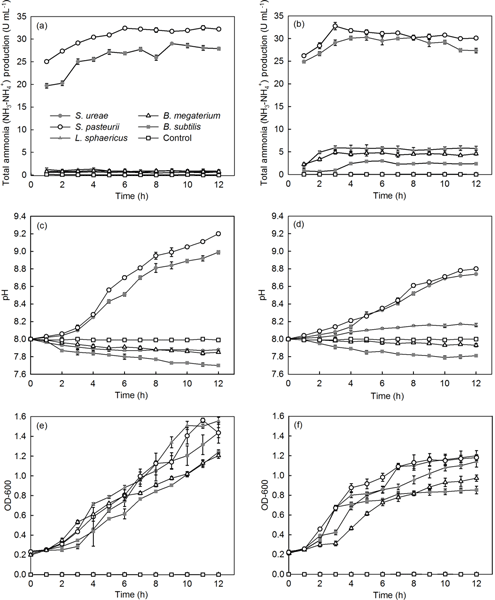 Trotter, J., Montagna, P., McCulloch, M., Silenzi, S., Reynaud, S., Mortimer, G., Martin, S., Ferrier-Pagès, C., Gattuso, J. P., and Rodolfo-Metalpa, R.: Quantifying the pH 'vital effect' in the temperate zooxanthellate coral Cladocora caespitosa: Validation of the boron seawater pH proxy, Earth Planet. Sc. Lett., 303, 163–173, 2011. Urmos, J., Sharma, S. K., and Mackenzie, F. T.: Characterization of some biogenic carbonates with Raman spectroscopy, American Mineralogist, 76, 641–646, 1991. Váczi, T.: A New, Simple Approximation for the Deconvolution of Instrumental Broadening in Spectroscopic Band Profiles, Appl. Spectrosc., 68, 1274–1278, https://doi.org/10.1366/13-07275, 2014. Venn, A., Tambutte, E., Holcomb, M., Allemand, D., and Tambutte, S.: Live tissue imaging shows reef corals elevate pH under their calcifying tissue relative to seawater, PLoS One, 6, e20013, https://doi.org/10.1371/journal.pone.0020013, 2011. 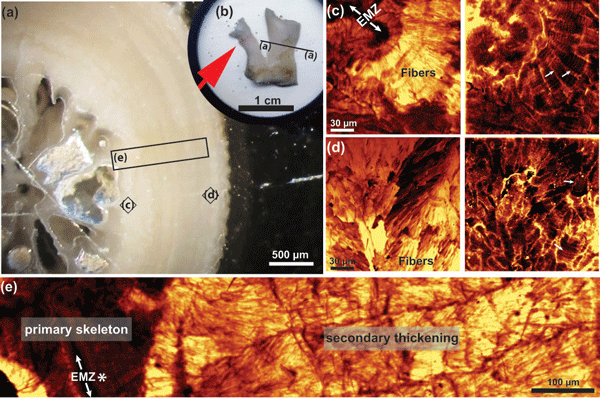 Wall, M. and Nehrke, G.: Reconstructing skeletal fiber arrangement and growth mode in the coral Porites lutea (Cnidaria, Scleractinia): a confocal Raman microscopy study, Biogeosciences, 9, 4885–4895, https://doi.org/10.5194/bg-9-4885-2012, 2012. Wang, D., Hamm, L. M., Bodnar, R. J., and Dove, P. M.: Raman spectroscopic characterization of the magnesium content in amorphous calcium carbonates, J. Raman Spectrosc., 43, 543–548, 2012. Watson, E. B.: A conceptual model for near-surface kinetic controls on the trace-element and stable isotope composition of abiogenic calcite crystals, Geochim. Cosmochim. Ac., 68, 1473–1488, 2004. Wehrmeister, U., Soldati, A. L., Jacob, D. E., Häger, T., and Hofmeister, W.: Raman spectroscopy of synthetic, geological and biological vaterite: a Raman spectroscopic study, J. Raman Spectrosc., 41, 193–201, https://doi.org/10.1002/jrs.2438, 2009. Weisstein, E.: Gaussian Function, available at: http://mathworld.wolfram.com/GaussianFunction.html (last access: November 2017), 2017. White, W.: The carbonate minerals, in: The Infra-red Spectra of minerals, edited by: Farmer, V., 227–284, Mineralogical Society, London, 1974. Wu, H. C., Dissard, D., Le Cornec, F., Thil, F., Tribollet, A., Moya, A., and Douville, E.: Primary Life Stage Boron Isotope and Trace Elements Incorporation in Aposymbiotic Acropora millepora Coral under Ocean Acidification and Warming, Front. Mar. Sci., 4, 129, https://doi.org/10.3389/fmars.2017.00129, 2017. Zakaria, F. Z., Mihály, J., Sajó, I., Katona, R., Hajba, L., Aziz, F. A., and Mink, J.: FT-Raman and FTIR spectroscopic characterization of biogenic carbonates from Philippine venus seashell and Porites sp. coral, J. Raman Spectrosc., 39, 1204–1209, https://doi.org/10.1002/jrs.1964, 2008. Zeebe, R. E., Ridgwell, A., and Zachos, J. C.: Anthropogenic carbon release rate unprecedented during the past 66 million years, Nature Geoscience, 9, 325–329, https://doi.org/10.1038/ngeo2681, 2016.